When I started blogging way back when, my biggest challenge was finding images for my posts. All the blogs that I read would have these beautiful pictures to punctuate their words, or they would curate features by wonderful photographers. I didn’t get it. Where were these pictures coming from? It wasn’t like all of these blogs were taking the pictures themselves, and many of them just seemed to collect them from across the internet. I had no clue how that worked. Was it okay for me to just use images from anywhere? The images on my blog have gone through many phases over the course of my blog’s little lifetime. I started out by saving pictures to my computer from blogs for inspiration, and would upload them to my blog for posts. Sometimes I would credit correctly, sometimes not. It wasn’t until later that I realized that this was a big blogging no-no. Then came the Pinterest phase, where I would embed my pins into my posts. That was a little bit better, because people could click through to the original source (assuming the pin was linked correctly, which I never checked), but that wasn’t good either. In October I got a DSLR, and nowadays I almost never use images on my blogs that aren’t my own. Don’t get me wrong, I think images curated from other places can add a lot of value to blogs and they are a great opportunity to show off your style. In fact, doing more collages on my blog is one of my goals. However, any time you are using images that you didn’t make yourself, you have to be really careful about sourcing them correctly. Poorly credited images are probably my number one blogging pet peeve. I feel like it’s not always clear how this works, so I went ahead and made a little infographic about it. A quick note about an exception to this: when you are writing about a product, you generally don’t have to worry about getting their permission. Just make sure you link to where the person can buy the product. Companies want people to endorse their product, and by linking to it on the blog (assuming that it’s in a positive way) you’re basically giving them free advertising. However, if you’re linking to a photographer or an illustrator, or someone who’s work can essentially be reproduced online, the infographic rules apply. Here’s the thing about Pinterest that many people don’t get: it’s all about the statistics. First of all, I saw this on Twitter recently, and I don’t remember who said it, but crediting an image with Pinterest is like crediting the internet. Pinterest doesn’t make anything. Sure, it’s a valuable tool for finding things, but it didn’t make it, and therefore doesn’t deserve the credit. Theoretically, if the pin is linked correctly, someone could click on the pin and then be led to the original source. The problem is that statistically, a staggering amount of people won’t make it there. When you put a source under the image on your blog, most people won’t click on it, and the ones that do won’t click through a second time to get to the original source. Does that make sense? At each opportunity to click, you’re going to lose a lot of people. If you’re linking to a pin first, the pin or your Pinterest account gets priority over the original source, and that’s not right. If you want to link to both, that’s fine, but the original source comes first. Period. Now, everyone comes across images that they would really like to use occasionally and have no idea how to find the source. Here is the answer to your problems. I use this tool, which capitalizes on Google Image search, to find images. All you do is follow the directions to install it on your browser, and then whenever you are on the page with the image, just click on it, click on the symbols on the image you will want to find, and it will bring up all the instances of that image on the web. Sometimes the original source isn’t the first link, but it’s almost always on that first page. It’s such a great tool! There is TONS of great info in this post, but the part that speaks to this issue is towards the bottom. Everyone makes mistakes, here’s a great example of how to handle it gracefully. Link With Love is a great project aimed at educating people about giving credit where credit is due. 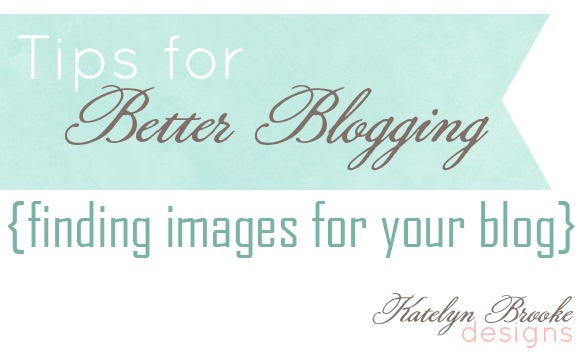 Next time I’ll be talking about how to make images for your blog! Let me know if there are any questions in particular that you’d like to hear about! The src-img tool is definitely my favorite way to source images. Even if it doesn’t pull up the original source, it usually pulls up at least one person who has linked to the original source. wow this is really helpful! I run into this problem all the time and never know what’s the “right” thing to do. I’m glad! I totally agree, it took me years of reading other people’s opinions about this before I really figured it out. Awesome flow chart Kate! I wish all new bloggers had to take a mini-course in linking correctly. Thanks Katie! Me too, I feel like most people want to do the right thing, but it’s not always obvious. I am guilty for being too lazy to go to the original source. This was a good reminder. Thanks Emily! I totally have been too, I’m trying to be better! HOW AWESOME!! Thanks so much Kate! Pinning now! Agree with Lisa on the src-img tool. It’s a bookmarklet I got from somewhere, but to do the same thing, you can copy an image URL into google images and then search by image. From there, 80% of the time I can find the original creator! Thanks Victoria! That’s the tool that I linked to up there, I love it! Nice flow chart, a good reminder, I’m guilty of pointing to my pinterest, but as a photographer myself, it’s important to give credit where it’s due! Thanks! It’s hard too because Pinterest makes it so easy! Hi Kate, I recently started my own DIY party + crafts blog and this is the exact issue I’ve been running into as a new blogger! I read an article about a blogger who used a photo and did give credit, but she didn’t know it was copyrighted. When she was contacted about it months later, she took it down immediately, but the photographer sued her for image use fees for all the months it had been on her site–she ended up having to remove ALL photos from her blog (years worth!) after the lawsuit and start over completely. That was enough to scare me straight and I really want to know how to do it right! I also had the same problem when I started blogging. Since I got my DLSR all my images are my own. However, I think I do have a few older posts that still site Pinterest as my image source. Ooops! Thanks for the reminder to go site them correctly. That tool is going to change my life! I love scrolling through Pinterest and Tumblr, but I come across so many images without a source. I try not to re-blog/re-post those source-less posts or to add sources if I know what it is. Which has only happened like twice! I also see so many images if things I want to buy and have no idea where to find it! I have a feeling that tool is going to be used so often!